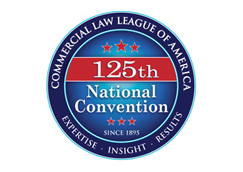 Wauconda, IL May 18, 2016 – The Commercial Law League of America, a long-time leader in the push for national bankruptcy venue reform and The Venue Group, an ad hoc group of lawyers located throughout the country, have developed and recently published a list of bankruptcy cases that were filed in Delaware or the Southern District of New York instead of their home states. The results are astonishing. For the eleven-year period between 2004 and 2014, a total of 745 cases (630 to Delaware and 115 to the SDNY) were filed outside their home jurisdictions involving approximately $909 billion in assets, $1.88 trillion in liabilities affecting 5.3 million creditors and nearly 2 million employees. As a consequence of forum shopping, bankruptcy courts located in remote cities decide the fate of hundreds of companies located in other states, likely with limited input from the home base of those most directly impacted by the bankruptcy such as employees, trade creditors and retirees holding pensions. This trend is not limited to large publicly held companies, almost half of the listed Delaware cases involved smaller businesses with less than $15 million in assets at the time of filing. The CLLA has been a long supporter of bankruptcy venue reform, that in its present form eliminates the state of incorporation as a proper forum for reorganizing a business and limits gamesmanship with affiliate-based filings to achieve forum shopping goals. To review the case data or for further information about the CLLA’s and The Venue Group’s efforts, please log onto The Venue Reform Workroom at the CLLA’s website located at www.clla.org/venue.